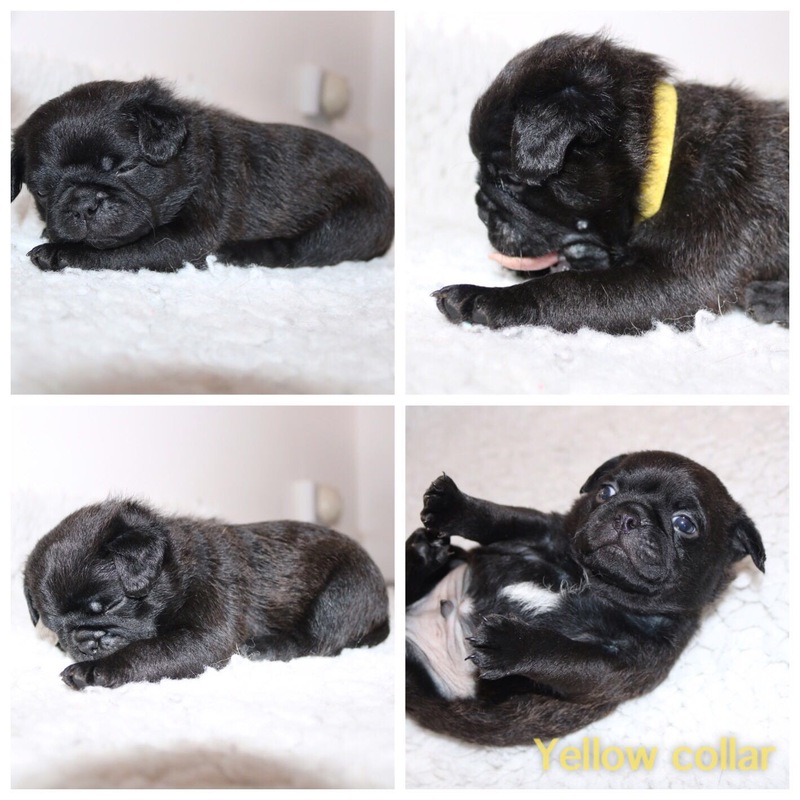 Outstanding 3/4 Pug puppies 5 boys 3 girls. Here we have a perfect example of a Jug. 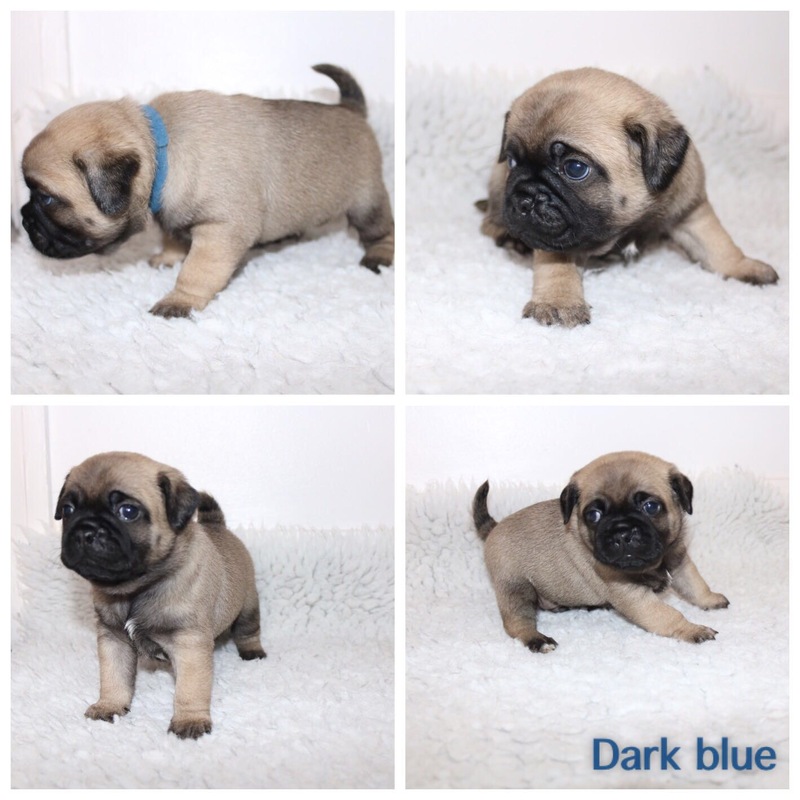 Extremely Pug like, Absolute quality pups, short nose, covered in wrinkled, curled tail and chunky. Mostly pug without the breathing problems a Pug may have. 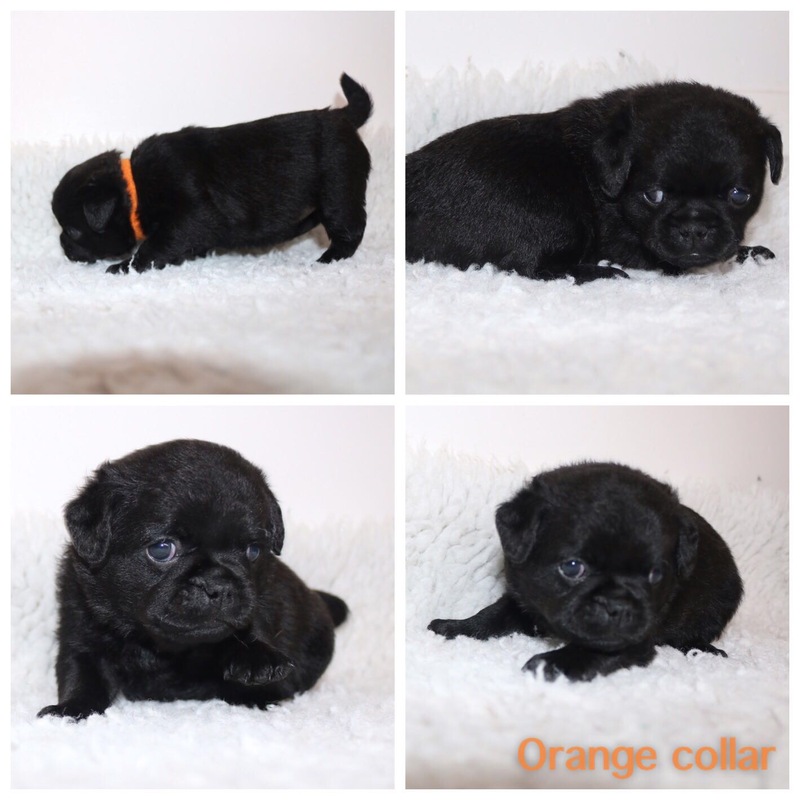 Mum is a apricot Jug (Jack x Pug). Fit healthy and Friendly loving nature, perfect with children. 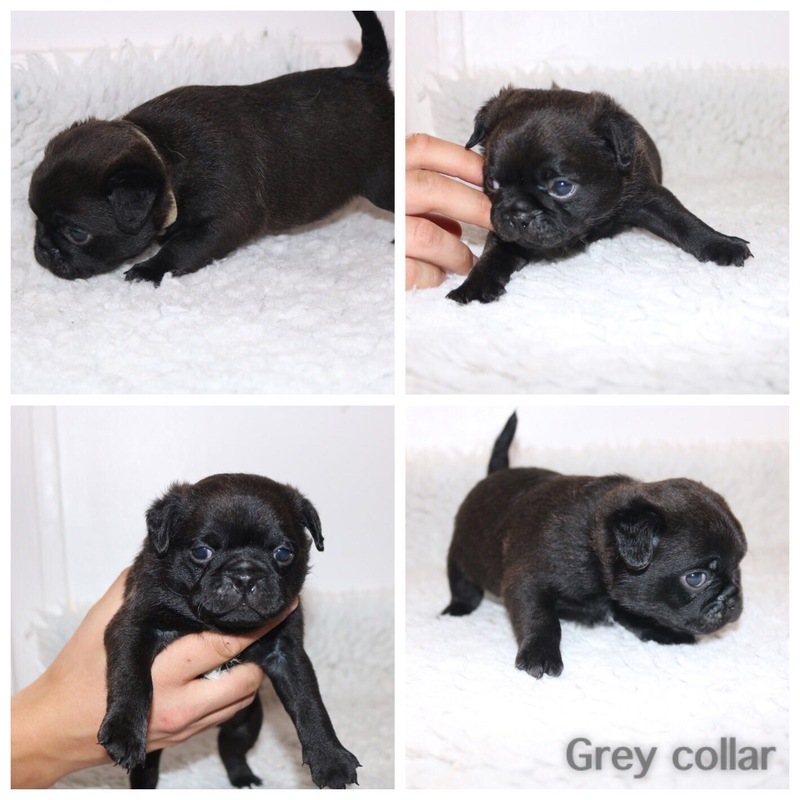 Dad is a kc reg black Pug with championship lines and health tested. 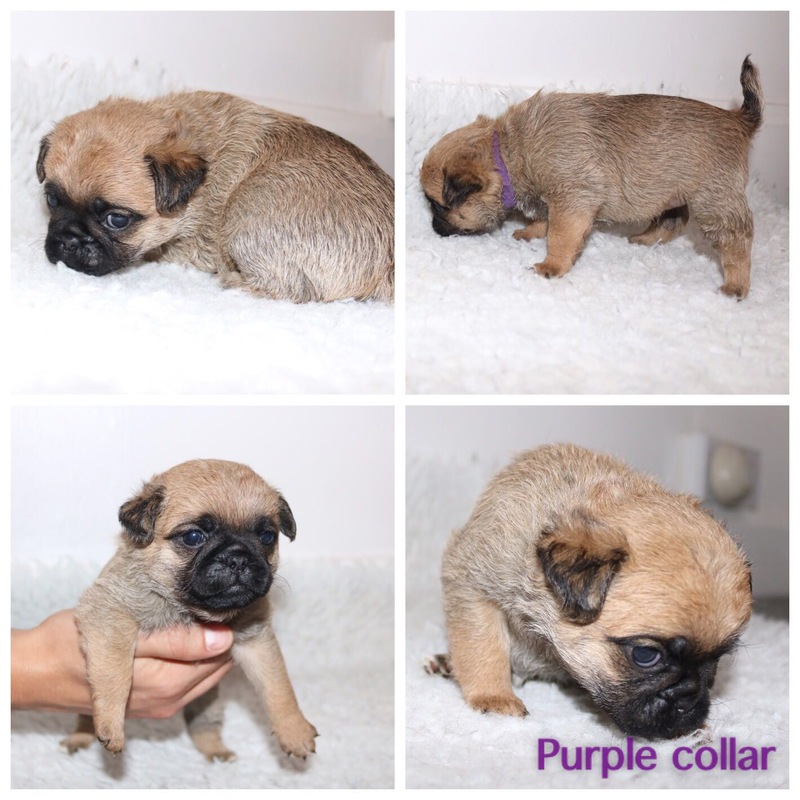 These pups have been raise in a family home with children and household noises. 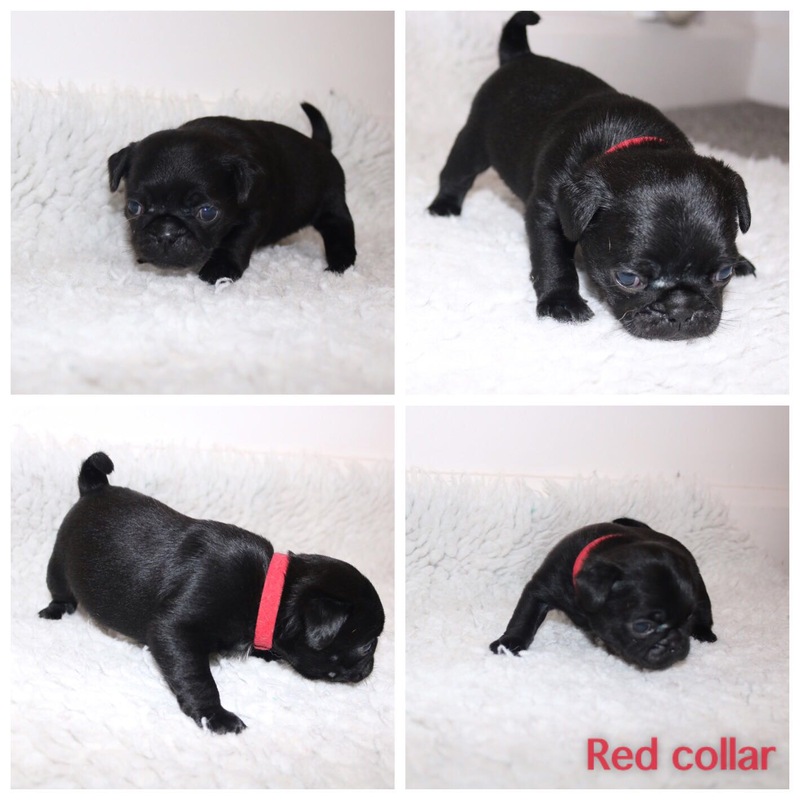 They really have had the best start, they are on Royal Canin food and have already started being paper trained. 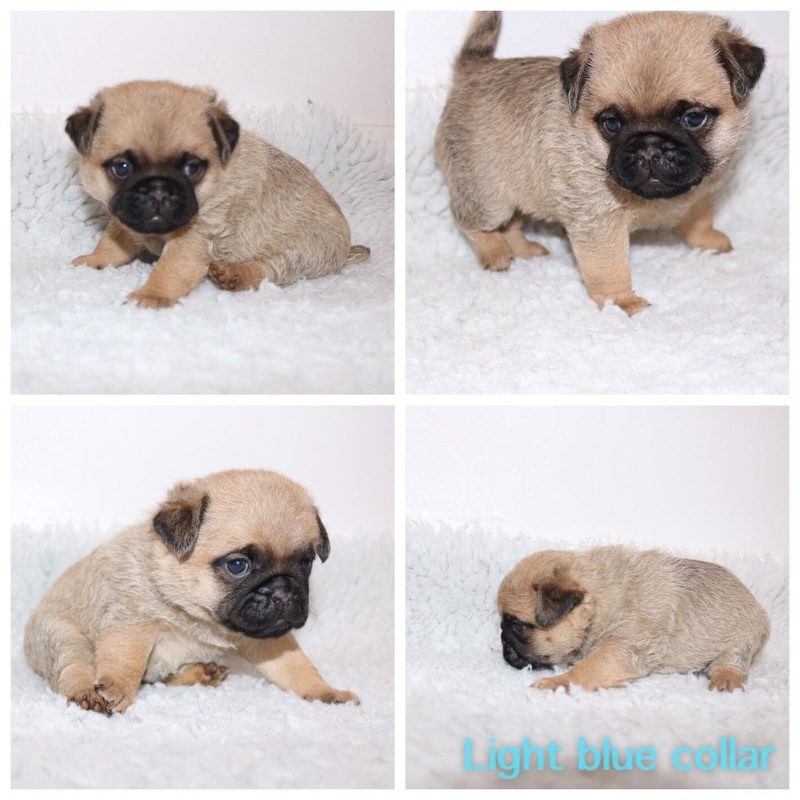 And will have first vaccination and a vet check before they leave at 8 weeks of age. Il also be putting together a starter bag, food, toys, blanket. If you would like any more information or photos feel free to call or message. 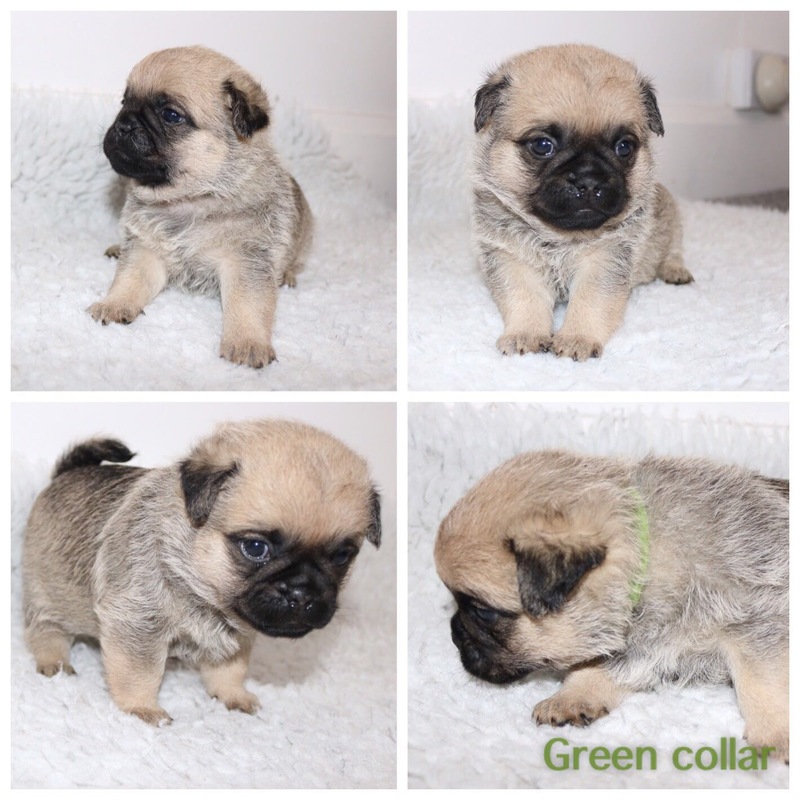 Now taking non refundable deposit of £100 to secure the pup of your choice.